View online webcast here; register here. DID YOU KNOW? 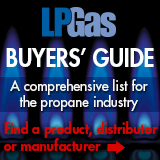 There's still time to join the propane industry's celebration of its 2014 class of hall of famers. 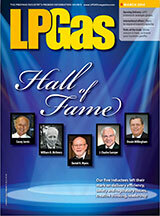 On April 11, at The Ritz-Carlton in Atlanta, the LP Gas Hall of Fame will welcome five new inductees: Casey Jarvis (JARCO), William B. McHenry (Pro-Gas Sales & Service), Daniel N. Myers (NPGA), J. Charles Sawyer (Sawyer Gas) and Dwain Willingham (Propane Resources). Tickets are available here. You are currently subscribed to The Blue Flame Pilot as %%EMAILADDR%%.